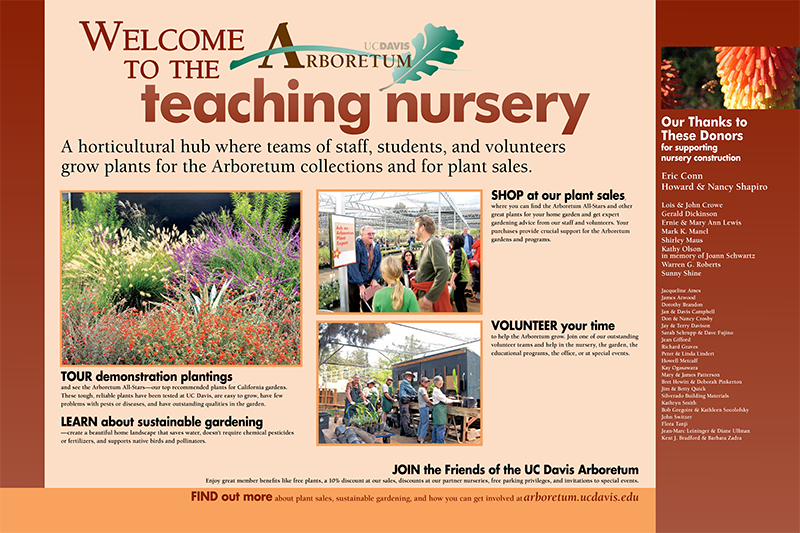 The Arboretum Teaching Nursery is a horticultural hub where teams of staff, students, and volunteers grow plants for the Arboretum collections and for plant sales. 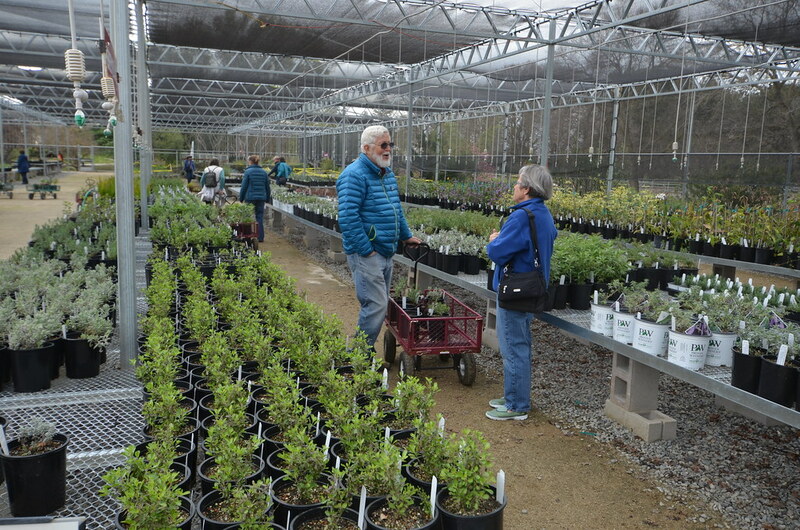 Tour demonstration plantings and see the Arboretum All-Stars—our top recommended plants for California gardens. These tough, reliable plants have been tested at UC Davis, are easy to grow, have few problems with pests or diseases, and have outstanding qualities in the garden.